It has been a while since I’ve done a step-by-step series examining the Michigan Driver’s License Restoration and Clearance process. Having previously done some rather detailed installments, I thought that it might be time to put up a much shorter, more summary review of the steps involved in winning back your License, or getting a Clearance of the Michigan “hold” upon your Driving Record that prevents you from obtaining a License in another state. The word “Revoked” means everything here. Unlike a “Suspended” License, which is automatically given back after a certain period, a “Revoked” License is taken away forever, and can only be returned once the minimum period of Revocation has passed (either 1 or 5 years) and only if a person files a formal License Appeal before the DAAD and wins. A person can wait 35 years, but until and unless they file a License Appeal and win, they won’t get their License back. Sometimes, people feel that they have been without a License “long enough,” as if the mere passage of time means anything; it doesn’t. A Revoked License is only Restored (or a Clearance granted) after a successful License Appeal. 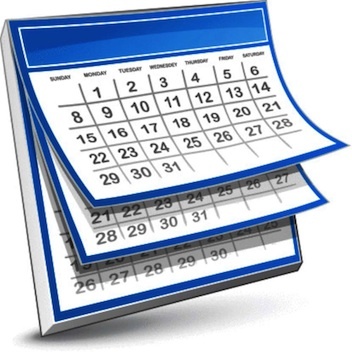 These simple dates get complicated in a number of ways. Most often, however, a person causes their own complications simply by getting caught driving while their License is Revoked, and then being slapped with what’s called a “mandatory additional” Revocation. These additional periods of Revocation are mandatory under the law, and extend the time a person will remain Revoked. There is absolutely no way to get out of this, unless, and only if, the last “mandatory additional” was imposed for a driving offense that occurred BEFORE October 1, 1998. In the real world, most people decide to pursue a Driver’s License Restoration or Clearance well after their eligibility date. To put it another way, of the Driving Records I review from potential Clients each week, very few people have to wait for their eligibility date to arrive. Even then, the State allows a person to file their Appeal 6 weeks before their actual eligibility date. On top of that, the paperwork that must be filed with a License Appeal must be dated no more than 90 days prior to the filing date. This means that a person can make an appointment with me and get the License Restoration process started about 4 and ½ months before their actual eligibility date. Beyond an eligibility date, a person must also be off of Probation or Parole in order to win a License Appeal case. Exactly how long can vary from person to person, but a person does need to have at least a few months of provable, voluntary “clean time” under their belt before the State will approve a License. This really means that almost any time spent on Probation or Parole, and even if a person is NOT subject to random alcohol or drug testing, does not count as “voluntary.” We can argue about that all day long, but if you need to know one thing about the License Appeal process right out of the gate, it’s that you either play by the State’s rules, or you DO NOT win. A lot of people who become my Clients do so after having tried a License Appeal before (without me) and having learned that the hard way. Also, a person needs to have really quit drinking in order to win a License Restoration or Clearance case. We will get into this in more detail in the next section, where we’ll cover the Substance Abuse Evaluation that must be filed as part of and with any License Appeal. For purposes of ending this overview however, a person need only bear in mind that the whole purpose of a License Appeal is to make sure they have not been drinking, and will not be drinking. For my part, and because I Guarantee that I’ll win any License Appeal the first time around, I require a person to have genuinely quit drinking as a condition of undertaking representation. In other words, a person must be Sober. Thus, in summary, a person’s eligibility date controls when they can get their License back. A person is “eligible” to begin the License Appeal process about 4 and ½ months before their official eligibility date. A License Appeal can be filed 6 weeks before that actual eligibility date. In order to win, beyond just being eligible in terms of time of filing, a person must also be off or Probation or Parole, and must also have really quit drinking.